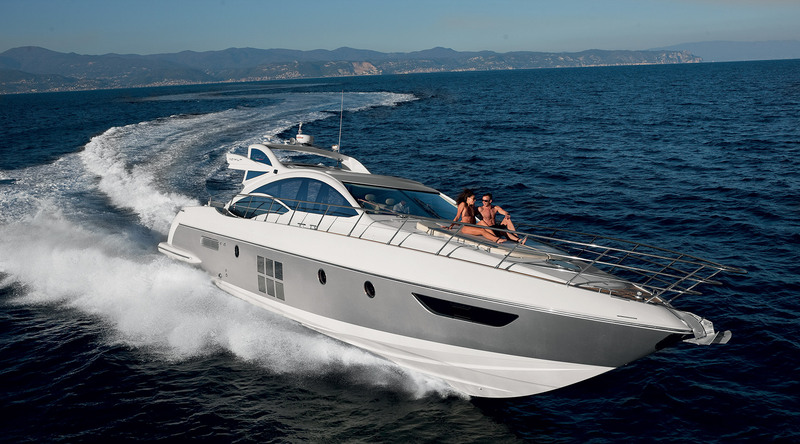 LIFE IS GREAT (ex Diamond) is an 18,9m luxury Motor yacht launched by the Azimut shipyard of Italy in 2007. 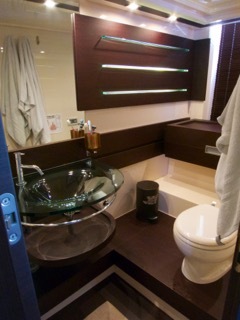 She is a light displacement charter yacht with a planning hull. 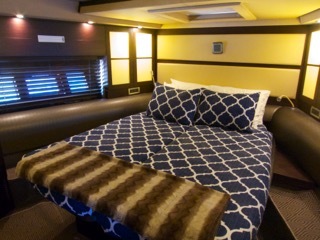 LIFE IS GREAT underwent a refit in 2015, she offers modern styling inside and out, with generous deck spaces and guest accommodation for up to 6 charter guests in 3 cabins. 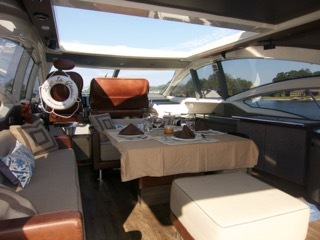 In the main salon, there is a dining area and seating with the benefit of a sunroof, which can be opened to bring the outdoors inside for dining in great weather. The lower salon also has ample space to relax with a lounge and coffee table, which may also be converted into a double bed. 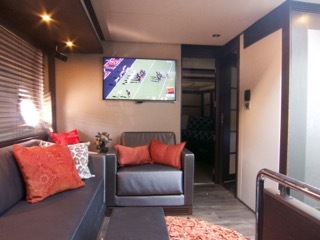 The main salon benefits from panoramic windows, allowing for fabulous natural light and unrivaled views. 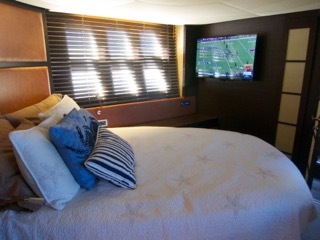 The master cabin has a spacious layout with a Queen Size bed and private seating area with modern décor. 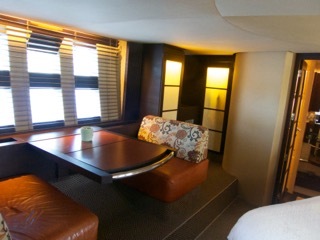 The 1 VIP cabin has 2 twin beds which convert into a Queen and there is the convertible sofa bed (double) in the lower salon. Exterior living is well-appointed maybe and functional. 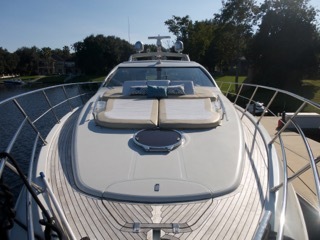 The main aft deck is adjacent to the salon and offers partial shade. 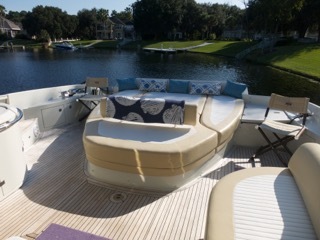 The bow offers comfortable sunpads to relax and enjoy the view. 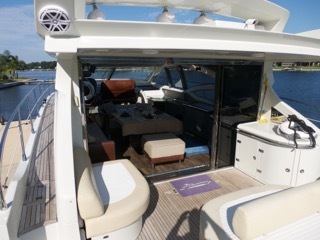 A state of the art entertainment system is on-board including a deck stereo and 16 speakers with satellite radio and Bluetooth. 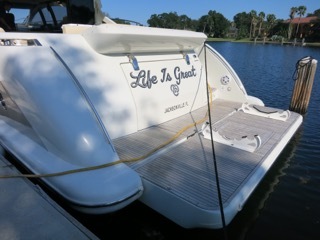 If water sports are important on your luxury charter vacation, then you will have fun with the great assortment of water toys on offer. 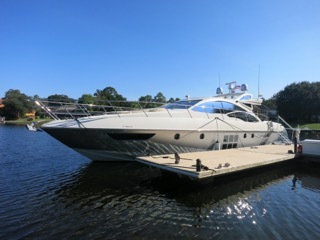 Powered by Twin Caterpillar C18 Diesel engines with 1015HP, LIFE IS GREAT cruises at 26 knots and reaches top speeds of 37 knots. 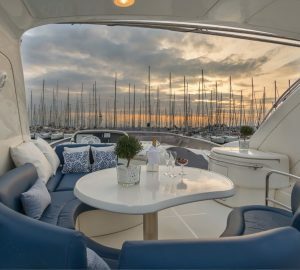 Motor yacht LIFE IS GREAT offers accommodation for up to 6 guests in 2 cabins with a convertible sofa bed in the lower salon. 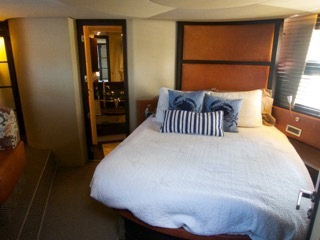 The master suite with a Queen bed has been finished in a contemporary elegant décor and boasts plenty of space to relax and unwind, with a separate seating area. 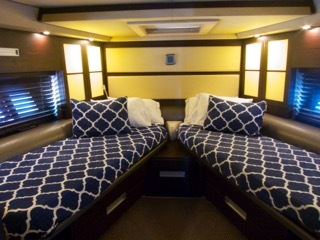 The VIP suite has 2 twin beds which convert into a Queen Size bed.